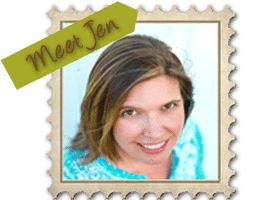 This is a guest post from my friend Jen Reyneri, the founder of Word Traveling, a social enterprise building world changers through extraordinary experiences. One of the greatest blessings of being a homeschool family is the freedom and flexibility to travel. Yes, even the allure of learning geography from a cross-country RV-trip or studying history in Europe, the dream of traveling on a glorious adventure can keep us motivated on challenging homeschool days. Travel is in my blood. I was born into it. Literally. From my time in utero, I was on the road more than six months of each year until third grade. My mom taught me to read while we were on the road in our “motorhome.” I guess I was “homeschooled,” except in the 1970s, no one really called it that. If you’ve visited my blog, read an article, or heard me speak, you’ll know that inspiring you to get out and GO is my passion. Jesus said,”Go,” and He was a journeyman himself. The reality is, travel comes with a cost, and we need to adjust our lifestyles in order to fulfill those costs. 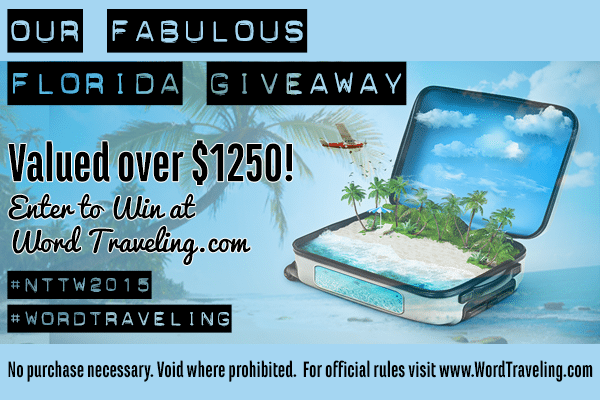 During this month’s Travel IS… series on Word Traveling, you’ll find amazing tips, stories and tricks to inspire you to get those passports in order and the suitcases packed. Before my husband and I discovered Dave Ramsey’s Financial Peace University and later became facilitators,) we traveled. Plenty. In 2004, we actually sold everything we had and headed for a year-long adventure in Europe with a baby in tow. We met Jesus on that journey when all our plans failed. Fast forward back to America, In 2010, my husband was awarded an “all expenses” paid trip to Italy as the prize for manager of the year at his company. At the time, we carried a whopping $100,000 in consumer and personal debt, much of which had been accumulated through traveling. After adding nearly $7,000 of our own expenses to that “all expenses” paid trip and our already, we realized something MAJOR in our lives had to change. We enrolled in Financial Peace University, at the closest location (nearly an hour away) and began our intensely focused journey to becoming debt free. Today, WE ARE DEBT FREE!!! After three years, giant outpouring of the Lord’s favor, countless coupons and saying “no” to our children and our wants, by the grace of God and our self-discipline, we did it. Full disclosure- we still have a mortgage- but we have a three year plan for that. Be sure to join our community to hear that story! Our journey to becoming debt free did come with saying “no” to many things, but one of them wasn’t travel. 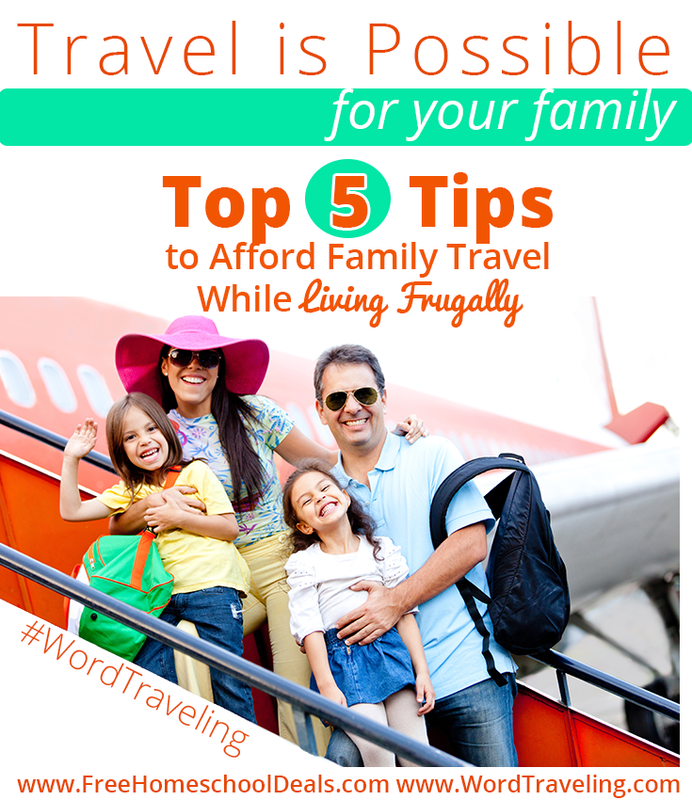 Travel is who we are, and even Dave Ramsey himself says to budget for some FUN! Our travel didn’t change, our approach to travel (and life) completely changed. We made sure we didn’t bring an adventure home. Decide together how much you can sacrifice in other things, including some co-op costs and yes, even that new curriculum and subscription, to be able to afford the big things. To our family, making memories are a priority and a part of our legacy. I’m typing this as we are on a plane to Hawaii, just four years after we began our life’s best adventure to financial peace! Really, cutting the $100 per month cable bill, extra extracurricular activity and gourmet coffee and curriculum habit can lead to the best investment you can ever make. Our family of four saves big by cooking together when we travel by renting vacation homes or grabbing a fabulous deal on a hotel with a kitchen. Even just breakfast in your room can save over $50 a day when away. We love to visit local farmer’s markets and then unwind when preparing a meal together as we continue to build our family Team. Pack your own snacks. Skip the drinks when eating out and order water. Stop at the grocery store for a bag of apples and a case of water for the same price as just one at the coffee shop. And, here’s a simply way to shine the generosity of Jesus- be a great tipper. Employees in the hospitality industry need your generosity to support their families, too. 3. Pick a realistic vacation spot for your budget. I know, Italy may be your dream trip, but the National Parks, Italy at Epcot, or The Venetian Hotel may be more realistic for your budget- for now. Don’t sacrifice the small weekend trips and road trips. Encourage dreaming along the way, and when you reach your debt free status on your financial journey, THEN prioritize bigger dollars toward dream travel. 4. Collect memories, not memorabilia. Unique photos make the best, and the cheapest, souvenirs. However, by nature, children will want to buy every cool thing they see on your trip. So, prepare in advance. For our Hawaii trip, we talked about how much they’d want to spend per day= $10. Times 14 days= $140. Even our seven year old set this goal, and he’s been looking for extra work the past six months so he’d have a full wallet. 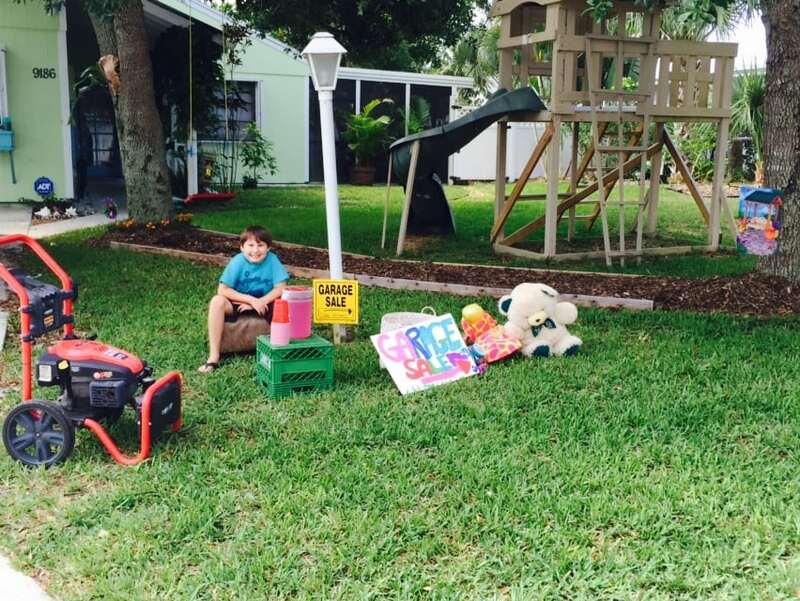 He even set up his own garage sale. 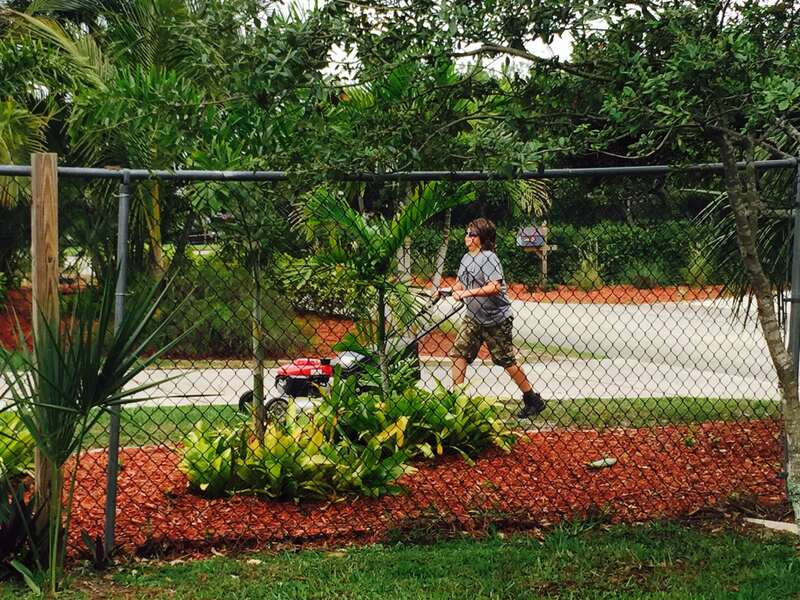 Our eleven-year old began mowing lawns so he’d have spending money for the Big Island. They feel a huge sense of accomplishment, and we’ve taught them the value of hard work during the process. Our favorite family memories are the ones we collect in our minds, and in our postcard and photo album. We do our best to choose a postcard, have everyone sign it, and mail it home from each portion from any trip. We have a priceless album, our travel journal, filled with memories we collected along the way without breaking our budgets. That may be a strange concept to us here in America, but in Europe and other parts of the world, it’s second nature. Europeans don’t “vacate” their lives by taking a vacation, they set time aside and holiday. It’s a verb. If we live every day as a “vacation” by setting aside time in your regular lives to enjoy your days, moments, lives- family, you’ll be less likely to need to vacate your life. You’ll be needy of a vacation, as it’s just part of your lifestyle. Once you’re away, whether three days or three weeks, unplug. Set the time aside as holy. It’s good for your health, physical and spiritual. This is a guest post from my friend Jen Reyneri, the founder of Word Traveling, a social enterprise building world changers through extraordinary experiences. Join the adventure here. And, make sure you sign up to be on the pre-release list for her FREE upcoming family travel planning guide and email Jen to share your travel stories! Great ideas here. Thanks so much. It is important the kids also learn to save up for their trips and take responsibility for what they spend on souvenirs. I also like to see them start thinking about that early and planning for it. Thanks for stopping by, Paula! Glad you’re a part of the series and appreciated the tips!